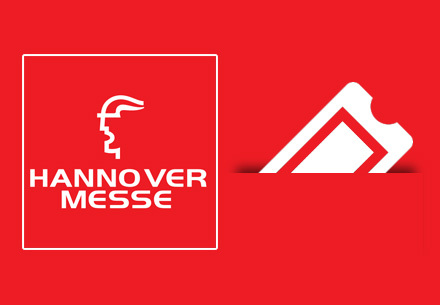 Artificial intelligence, the next step in the evolution of Integrated Industry, is the hot topic at HANNOVER MESSE 2019. Visit the HARTING stand to find out how we work together with customers and partners to create intelligent connections between the worlds of industry and IT. As we put it in this simple formula: HAI³ powered connectivity = I³C. Brilliantly simple? 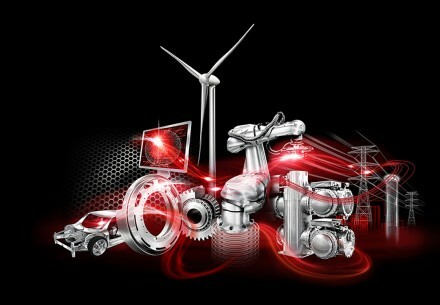 Plan now to visit HARTING during your visit to the Hannover Messe. We look forward to meeting you! Schedule to visit HARTING during your tour of the HANNOVER MESSE. Your free e-ticket is just one click away. Simply register using this HARTING promotion link. The HANNOVER MESSE is all about integrated industry and everything that helps industrial value-added networks function together well. Artificial intelligence – and above all human intelligence – makes up the most important networking entity, so that production processes can become more versatile while still maintaining their efficiency. Intelligent connection technology is the link that joins industrial value-added networks. At this year's HANNOVER MESSE, industrial intelligence is demonstrating which intelligence aspects will ensure success for the next steps on the road to Integrated Industry. For us, this starts with intelligent connectivity, which takes into account all participants of a network from the sensor to the cloud. Cloud connectors such as our HARTING MICA are required. These can collect and consolidate data from the industrial field level and generate significant customer benefits with their intelligent algorithms. Artificial intelligence (AI) is increasingly being used here; as a pioneer of Integrated Industry, it promises to revolutionise the industrial world. At the HANNOVER MESSE, HARTING is presenting intelligent connectivity with solutions for the cloud, edge and IIoT! Cloud: We use concrete application scenarios for the MICA® to demonstrate services such as asset tracking or predictive maintenance. Our system integrators from the MICA.network will also be present. Edge: In order to best achieve all elements of a modern network, adapted connector solutions are required. The Han 1A, the newest member of the Han® connector family, which can optimally adapt to the demands of device miniaturisation, is one such solution. IIoT: The T1 "Twister" industrial connector has been designed so that it can reach all industrial internet nodes in future IIoTs. HARTING has already defined the IEEE connector standard for Single Pair Ethernet usage in industry. An intelligent connectivity solution for bringing miniaturised sensors and actuators, as well as new I.40 automation into the network and thus into the cloud. We call this intelligent connectivity for the Integrated Industry: HAI³powered connectivity! Come and visit us at our booth in Hannover and experience how we deliver key benefits for your application with our customised HAI³-powered connectivity solution packages.